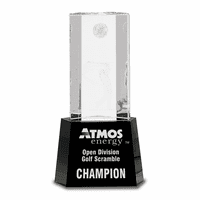 FEATURES/SPECS This solid crystal golf theme pedestal award is a high end gift, ideal for an employee recognition award or a grand prize in a golf tournament. 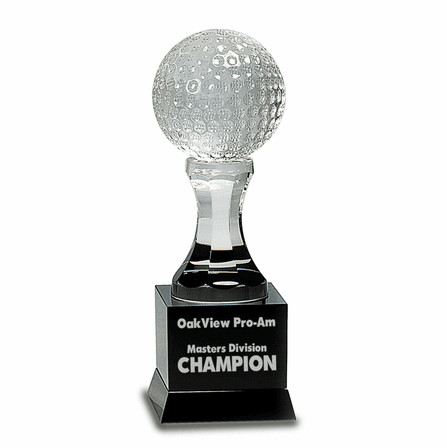 It features an intricately detailed clear crystal golf ball perched on a faceted glass column. This column is mounted on a solid black crystal base. The base can be customized with text and/or your company logo free of charge. 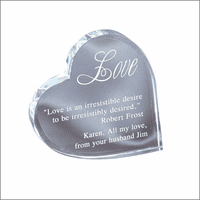 To add text engraving just check the Personalize It box above. You'll be able to enter your desired wording, play with the font and size of each line and preview it before placing your order. If you'd like to add your company logo, check the Add Logo box above. 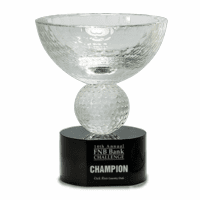 You can attach an image, in black and white format, before adding the golf award to the shopping cart. For logo orders, we'll email a proof before we proceed to production. 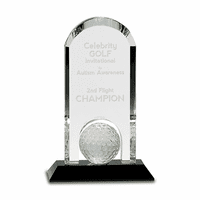 This personalized crystal golf award comes packaged in a gift box and normally ships within one business day.